Here are the questions, answers, and explanations from our vs check-raise quiz. Even though king-high might seem weak, it is very unlikely that your opponent has a strong hand. Quads are extremely unlikely, and the vast majority of poker players would slowplay quads here anyway. It’s much more likely that your opponent is bluffing or has a weak full house with 22-88 (he’d likely 3-bet preflop with TT+) -- and against most of those hands, you still have a solid 7 outs to take the lead. If he is bluffing, you'll likely be able to take the pot away on future streets or win at showdown. You have a weak gutshot, bad implied odds (because a turn T smashes your AK-heavy range), and no backdoor flush draw. Plus, your pot odds are quite bad against your opponent’s large raise size, so folding this hand is the correct play. You have a decently strong made hand with 2 outs to make a monster hand. Your opponent is representing a pretty small range of value (strong trips or a full house) and has a lot of missed hands in his range. These factors combined with his small raise size makes calling with this hand a profitable move. This gutshot + one overcard is a clear call, especially on a board with no flush draw. Since you should be c-betting this board very frequently (~85%), your opponent should respond with an aggressive check-raising strategy (PIOSolver would have him check-raise ~15% of the time). Additionally, this hand is actually towards the top-middle of your c-betting range despite being just ace-high -- a result of your high c-bet frequency. Folding this hand would mean you are over-folding, which open the door for your opponent to exploit you. You do not hold a backdoor flush draw. When you improve on a K or T turn, you will oftentimes be dominated and lose a huge pot. 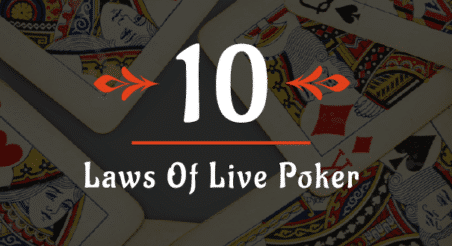 Additionally, KT blocks some of your opponent’s most likely bluffs (QT, T9). When you have a bluff-catcher, you really do not want to block a significant number of bluffs. Your implied odds are very poor because your opponent is not likely to pay you off if you hit a one-card straight. Your overcard outs are unlikely to be good because your opponent is representing a hand stronger than two pair. 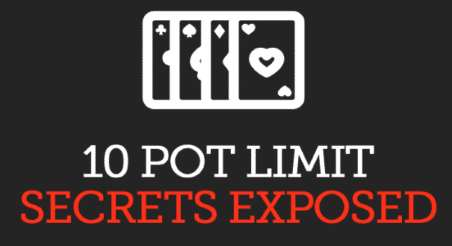 You do not have a backdoor flush draw, which hurts your hand’s playability on the turn. Your opponent is very likely going to double barrel at a high rate. Putting all of this together makes calling with this hand a -EV play. Your opponent used a big check-raise size after facing a big c-bet on a board that heavily favors your range. These factors make it quite unlikely that your opponent is bluffing. A9 is in the bottom-middle of your value range and can only improve to two pair or trips -- which might not even be good -- so you can confidently fold it. Since your opponent only has about a pot-sized bet behind, this is a clear spot to 3-bet all-in. Calling is also a profitable option (anything but folding is profitable with a straight flush draw), but it will lead to some very awkward turn situations, such as having to fold a big draw or having to call an all-in with 7-high. This awkwardness can be avoided by going all-in on the flop, which maximizes your chance of winning the pot. Just calling should be your preferred way to continue with top set here. Since you are in position, you will get to control the pot for the rest of the hand and the BB will find himself in many tough spots on the turn. PIOSolver suggests 3-betting on the flop with this hand at a low frequency, but I would probably always call in practice. Quick tip: As a general rule, do not 3-bet in position as the preflop raiser when deep stacked. You will typically earn more money by just calling and playing turns and rivers. Although raising is a good option, this specific combination works better as a call since it has both nut and pair outs to beat hands that the BB might bet, such as top pairs and second/third pairs.